MyCareCompare provides objective ratings and descriptive information for hospitals by location in Michigan. Hospital ratings are based on a variety of sources, including insurance claims information and patient surveys. 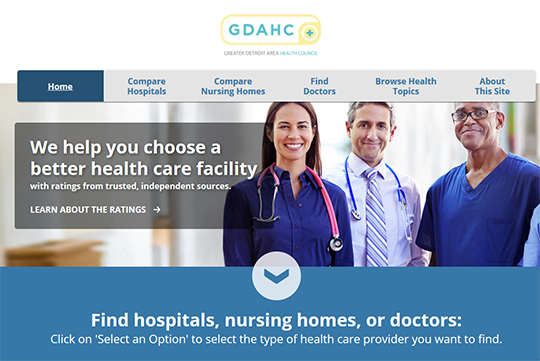 Consumers can compare hospitals by health condition or health-related topic. Quality ratings are based on information from hospitals about how well they provide care and from patient survey results about their experience in the hospital. There are four types of quality ratings included on the site: recommended care, results of care, practice patterns, and patient experience. This report shows hospitals’ quality ratings on several different topics, including patient safety and specific health conditions.